Syntegra Group are delighted to announce the acquisition of hotel specialist M&E consultants Building Services Group Ltd (BSG). The move transforms Syntegra into a 35-strong team working out of five offices (London/Reading/Tonbridge/Bristol/Leeds) with M&E design services now providing 55% of its portfolio. 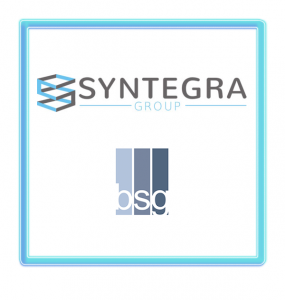 Alan King – Syntegra Managing Director – said: ‘With this move, we have strengthened our multi-disciplinary consultancy offering that will provide great opportunities for BSG/Syntegra Group to provide clients with a wider range of services and a ‘holistic one-port of call’ for MEP design and allied services. Overall, this represents an exciting future for us, with the opportunity to enter BSG’s unique hotel/international space with Syntegra bringing expertise in acoustics, energy and sustainability, civils, ecology services and environmental matters. 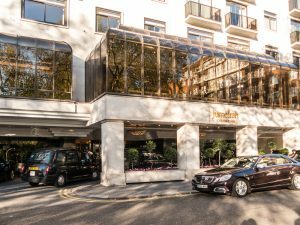 Teams from BSG, based in Tonbridge, Kent, are currently operating in the Inter-Continental Hotel Park Lane London and Jumeirah Carlton Tower Hotel, London with 75% of all their commissions hotel-based – a sector Syntegra have been keen to enter to expand their reputation further. Syntegra has recently undertaken a number of overseas projects and Alan is keen to create a wider international footprint for the company which will undoubtedly be enhanced by this strategic acquisition. ‘We look forward to showcasing our expertise with our existing clients and sharing good practice with an even broader range of niche-sector based organisations,’ he said.